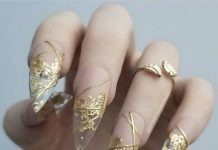 Designs for nail art comes from all sorts of inspiration. The basic reference would be the color wheel of course, also events and seasons, then accessories used in the real world. 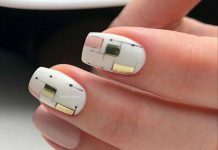 That being said, at these times, no one can ever say that there is not one nail art design that is meant for their own nails because somewhere out there, a nail artist has the perfect design just for them. One particular nail art that is derived from a real-life accessory is the lace-inspired design. Laces are fabric accessories that usually have patterns that create beautiful drops for fashionable clothing. Most of the lace designs are rendered I black to make sure that the patterns would be emphasized or sometimes, they are done using negative space technique. 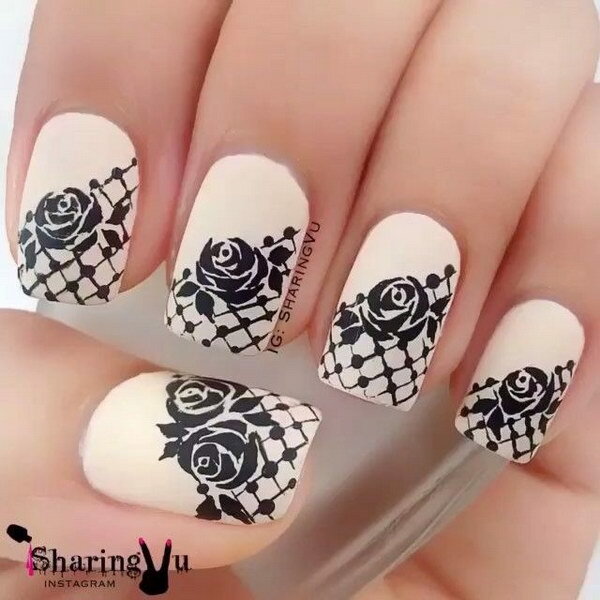 The inspiration alone can be painted in many different ways to the nails to create unique and complicated art designs which everyone will surely love. 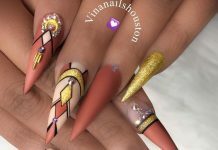 We gathered a couple of these lace nail art designs for you guys to check out today, some are simple while some are layered with perfection. Look for your own desires below.